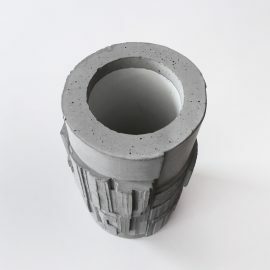 Cast in molds composed of fifteen geometric sections which are pulled together and used in various combinations, this bold unique vase becomes functional, architectural art. The interior is lined with PVC which makes it waterproof. BIO: After graduating in Architecture, David works for several years in established firms gaining solid practical experience. Thereafter, he opens his own consulting studio where for ten years he participates in numerous architectural competitions and collaborates on various artistic projects. He develops an interest in object creation and furniture design while refining his expertise in 3D computer graphics. In 2010, he spends a year in Indonesia, where he studies printmaking, sculpture and foundry. Upon his return, he launches the DXU collective that specializes in creating murals in aluminum and bronze. 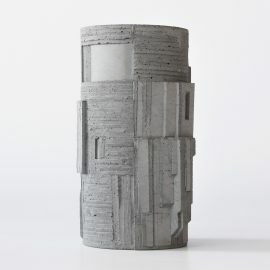 Since then, he’s developed a fond appreciation of concrete and has been exploring it’s many possibilities. His current work stands between architecture, object design and sculpture. WORK: The concrete works of David Umemoto stand as studies about volume. 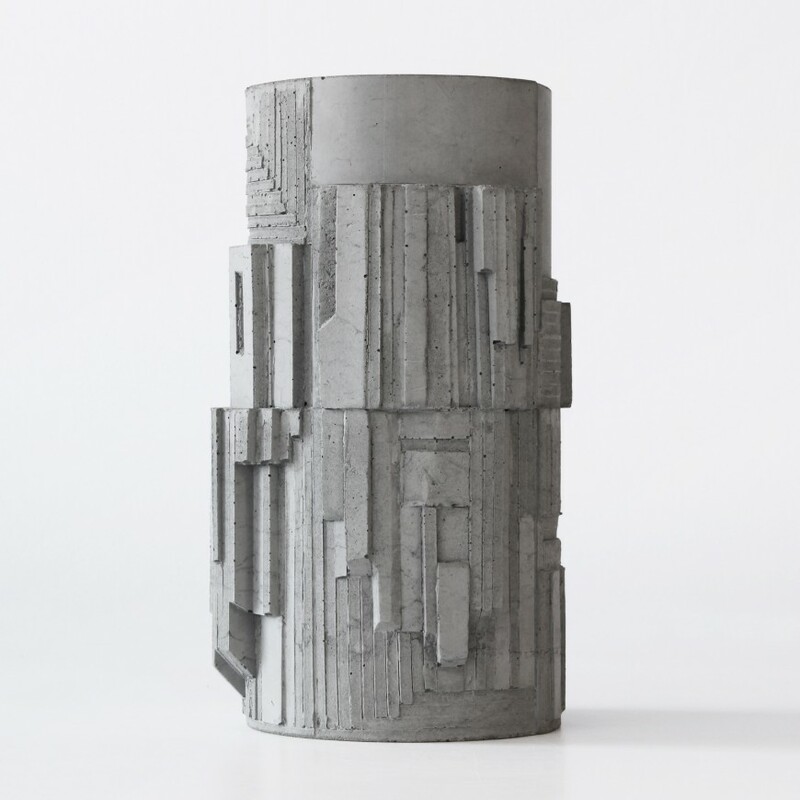 At the juncture of sculpture and architecture, these miniature pieces evoke temporary buildings or monuments standing on far-away lands. The walls rising towards nowhere, the curves running into ceilings, and the staircases leading into the void evoke remnants of modern cities having survived a cataclysm or fragments of Babylonian cities. The creative process seeks to imitate the cycles of nature, which are cycles of erosion and re-creation. Lines shift, change and are in a state of perpetual mutation due to the influence of time and weather. 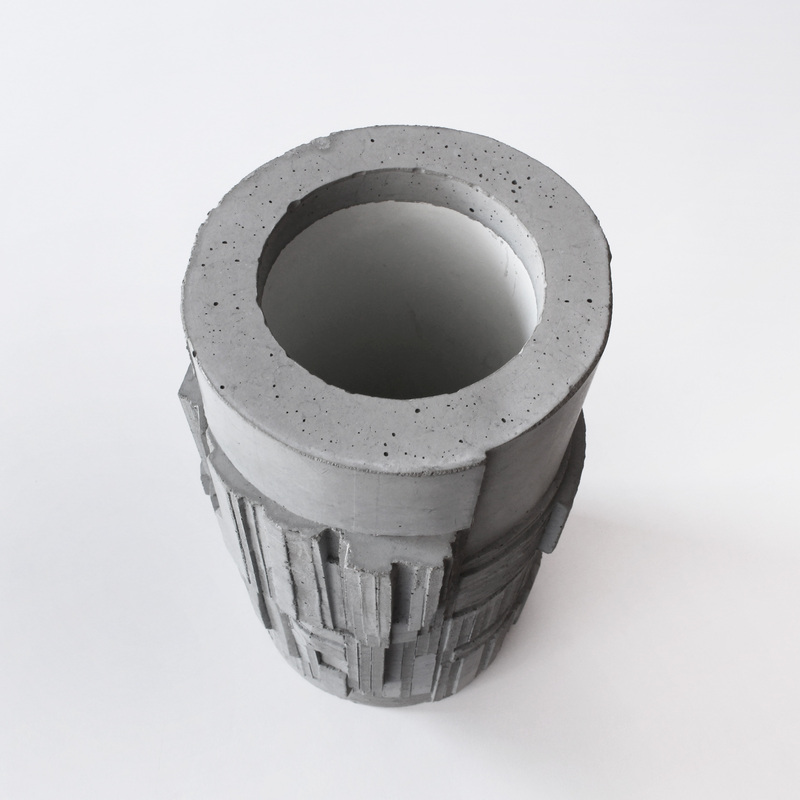 The natural architectures of geological strata and crystals stand as models: They inspire the design of the moulds in which the concrete is cast. 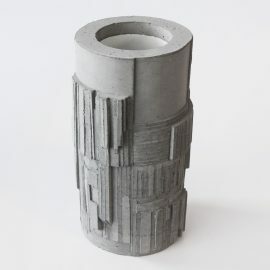 The ductile and infinitely adaptive nature of the material enables the production of objects that are both similar and different. The development of the works is thoughtful and iterative yet it makes room for improvisation, adaptation, and spontaneous inspiration.